A necessary evil…organized chaos…both terms fit when it comes to Photo Day. Each year, player headshots are used all over the country. You’ll see them on all your favorite sports websites, in magazines, in media guides, on TV, on scoresheets, in video games and on scoreboards. Unfortunately, there is only one time when all players who can potentially make a Big League team are in the same place at the same time. That time is at Spring Training before a workout. Hence the creation of the dreaded Photo Day: With workouts starting early each morning, all of the 60 players in Big League camp along with all coaches, bullpen catchers, trainers and clubhouse staff need to get their headshots taken prior to 9:00 AM. Today, the players had to hit nine photography stations to complete their Photo Day. The stations included (in order): Padres headshot, MLB, Getty headshot, Getty full-body photo, AP, UT San Diego, Padres portrait photographer, Topps and green screen video for the scoreboard. Each day at Spring Training can be a whirlwind of activity. Bouncing from station to station, working either in the cage or off the mound, hitting the weight room, team meetings and interviews…all before noon. This morning, Cameron Maybin was kind enough to let us follow him around to document his day. Hopefully this will give you an idea of what it’s like to be a Major League player as you spend six weeks in the desert, preparing your body for the 162 game season ahead. For Maybin, like most players, his day starts around 7:00 a.m. as he arrives at the Peoria Sports Complex. On a typical day, he’ll grab a quick breakfast before heading off to the weight room to warm up around 7:30. By 8:00 he is in the batting cage taking some early cuts prior to the daily 9:00 team meeting. 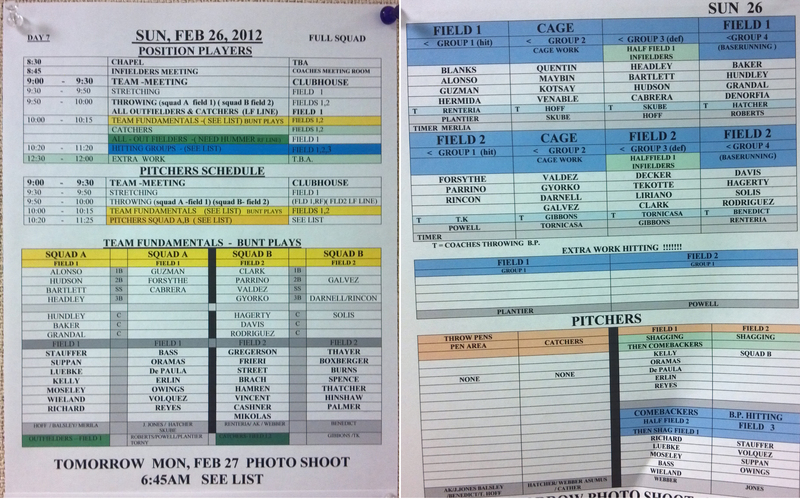 What happens next depends on the daily schedule posted in the clubhouse. On most days (like today), Maybin will join his teammates for running, stretching, then throwing. As the pitchers and infielders break off for fielding practice, the outfielders meet up for some defensive work of their own. The team then breaks into small groups of about 4-5 and cycles through stations for the rest of the afternoon, fitting in some time for the batting cages, BP on Field 1, baserunning drills and outfield work. The formal workout is over by 11:30 each day, leaving time for players to get in some extra work in the cage or a lift in the weight room. 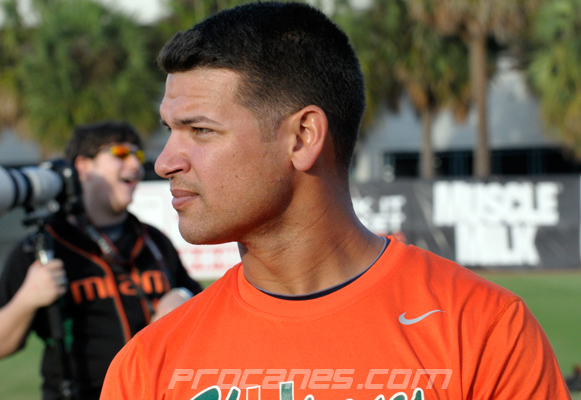 One of the glaring notes about this year’s Spring Training attendees is the number of former Miami Hurricanes that are in Big League camp. 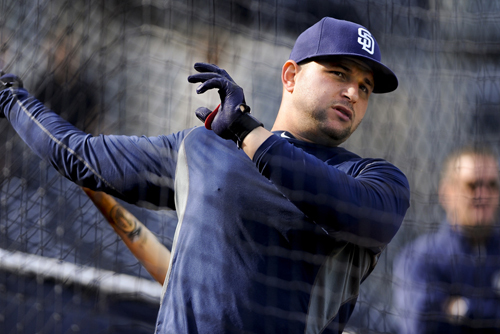 With the addition of both infielder Yonder Alonso and catcher Yasmani Grandal, the Padres now feature five former members of The U. 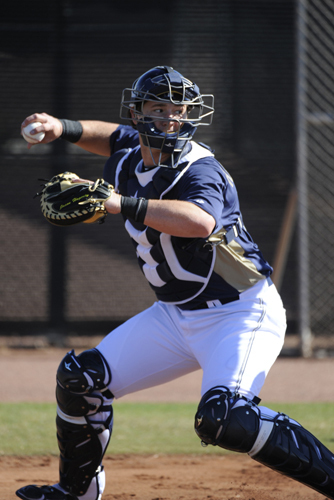 They combine with outfielder Blake Tekotte and catchers Eddy Rodriguez and Jason Hagerty. 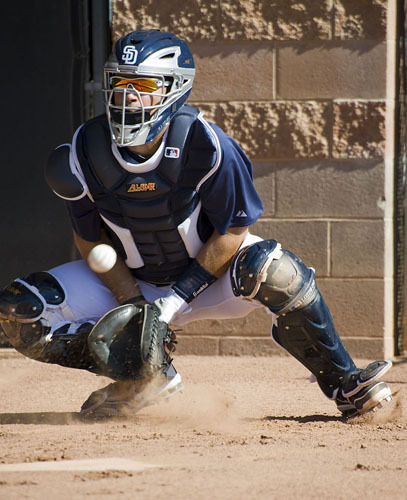 With Grandal joining the Padres catching corps, nearly everyone who caught a game for the Hurricanes from 2004-2010 is now a Friar. 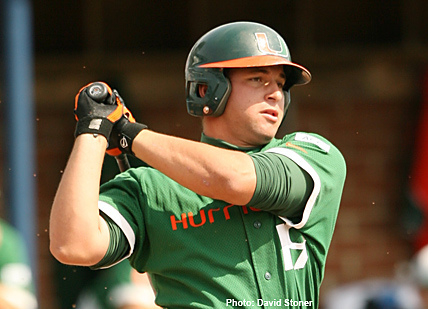 Grandal, Hagerty, Tekotte and Alonso were all members of the 2008 Miami team that went 53-10 and entered the College World Series as the No. 1 seed. Most fans don’t get the chance to visit Arizona and get the up close season preview that Spring Training provides. With that in mind, today we’ve decided to give you a brief tour of the Peoria Sports Complex. 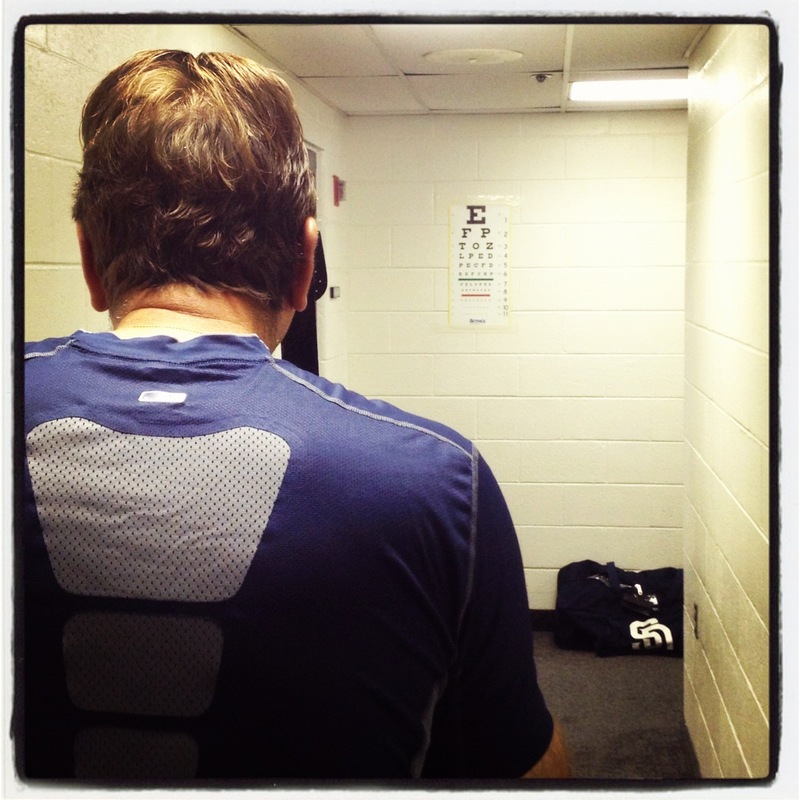 Hopefully this will give you a glimpse of where the Pads spend their days, preparing for the 2012 campaign. What more could you want? Right? Right! Welcome to the Peoria Sports Complex. Located in beautiful Peoria, Ariz., down the street from Chick-fil-A, behind the Target and adjacent to the Salty Senorita. Flip through the slideshow below and use the map at the bottom for reference as you make your way from the player parking lot, through the clubhouse, to the weight room, out to the fields and finally back to the cafeteria for lunch. The players typically arrive around 6:30 or 7:00 each morning, squeezing in a morning workout in the weight room before a 9:00 team meeting followed by workouts on the field until noon. With all pitchers and catchers now accounted for, the team hit the field today for the first official workout of the Spring. Manager Bud Black addressed the club’s battery candidates at 9:00 this morning and then it was off to Field 1 for running, stretching, PFP (pitchers fielding practice) and then bullpen sessions. The Padres have 29 pitchers in camp this year, split into squads A and B. The 14 pitchers in squad B were the first to take the mound this Spring (naturally?) with squad A throwing in the bullpens tomorrow. Today’s hurlers included Gregerson, Frieri, Street, Brach, Hamren, Vincent, Cashner, Mikolas, Thayer, Boxberger, Burns, Thatcher, Spence and Hinshaw. While we’re on the subject, let’s glance back at the often overlooked accomplishments of last year’s staff. 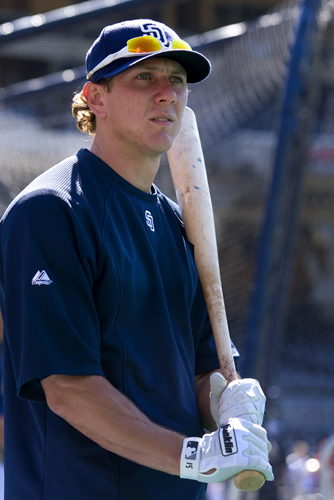 Led by coaches Darren Balsley and Darrel Akerfelds, the 2011 Padres ranked 3rd in the Majors with a 3.42 ERA. 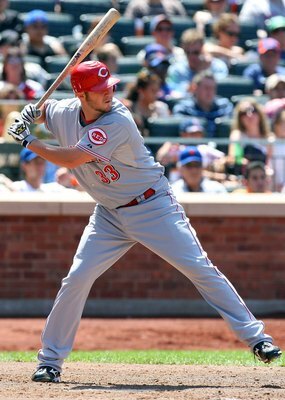 Starters posted a 3.62 mark that ranked 4th among all NL clubs while relievers were 3rd in the league with a 3.03 ERA. 2011 marked the second consecutive year the Padres posted a sub-3.50 team ERA and the fourth time in the last six years that the club has had a sub-4.00 team ERA. In the eight full seasons that Balsley and Akerfelds have been working together as pitching coach and bullpen coach (dating back to 2004), the club has posted a 3.91 ERA that ranks tops in the Majors over that span. During that stretch, the Padres have finished among the top three NL clubs in team ERA on four occasions (’06, ’07, ’10, ’11), including two first place finishes (’06, ’07). As was announced last November, the Padres will be outfitting over 11,000 youth baseball players with Padres jerseys for their 2012 season. Players from the four San Diego Little League districts closest to Petco Park, representing ages 4-12, will wear authentic Majestic Padres button-down jerseys and corresponding caps, thanks to the efforts of the Padres and the Padres Foundation. Selected by the teams, the youth uniforms represent 20 different styles from Padres history, dating from the Pacific Coast League days all the way through the club’s updated 2012 look. With the Little League season quickly approaching, the uniforms are beginning to arrive at Petco Park. Staff members have been working hard to sort through the mountains of boxes that have arrived, preparing for distribution over the next month. Over his 19 years of front office experience, Byrnes has worked alongside some of the most respected and admired executives in the game, including Cleveland Indians’ President Mark Shapiro and General Manager Chris Antonetti, Texas Rangers’ Senior Advisor and former Major League General Manager John Hart, Red Sox Executive Vice President/General Manager Ben Cherington, Pittsburgh Pirates’ General Manager Neal Huntington, Colorado Rockies Executive Vice President/Chief Baseball Officer & General Manager Dan O’Dowd, Texas Rangers’ General Manager Jon Daniels and Chicago Cubs’ President of Baseball Operations Theo Esptein.